American Gods has found a new head honcho. As announced by The Hollywood Reporter, Jesse Alexander has been tapped to serve as showrunner of the acclaimed Starz series for season two. Alexander takes over for former showrunners Bryan Fuller, who worked with Alexander on Hannibal and Star Trek: Discovery, and Michael Green, who exited the show in November of 2017. 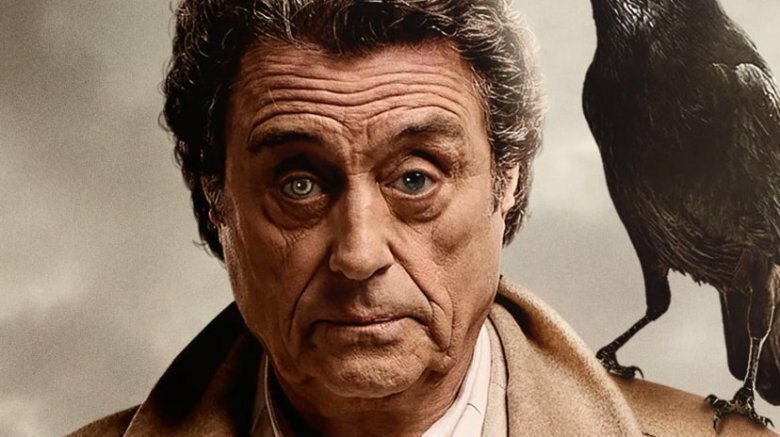 Reports indicated that the two may have been fired following disputes with American Gods production company FremantleMedia regarding the creative direction of and budget for the upcoming episodes. Fuller and Green were reportedly gunning for additional funding to be funneled into the apparent $10 million per episode allotment already in place for the new season. Just as Fuller and Green weren't alone in their showrunning duties, Alexander won't be by his lonesome in his. He joins American Gods novel author Neil Gaiman behind the camera for the second season. Gaiman issued a statement to THR expressing his enthusiasm about having Alexander on board. "I'm thrilled that Jesse is [the] showrunner. He loves and understands the book, he loves and understands the TV series, and he's dedicated to making future seasons of American Gods as good and as beautiful and as unique as they can be," he stated. "Shadow's journey is going to take him, and Mr. Wednesday, and the New Gods and the Old, to some very strange places. I'm glad that we, and the cast and crew, will have Jesse shepherding us on the way." With a new showrunner also comes new scripts. Though Fuller and Green had already completed writing on the first six episodes of the second season, sources note that Fremantle will scrap that work and begin fresh with Alexander at the helm. Insiders also report that Gaiman wasn't too keen on what Fuller and Green intended to do with his story moving forward. Apparently, the two were planning to "take season two as their vision" rather than "a straight adaptation of his source material." Gaiman reportedly wanted a showrunner who could climb aboard and create a more cut-and-dry translation of his novel. This effort will apparently include disregarding the cliffhanger seen in season one, according to THR. Having Alexander, whose credits also include Alias and Lost, officially attached is good news for the series, though sources speculate that the creatives may cut down the season-two episode count to keep the episodes within budget confines. The series stars Ricky Whittle as Shadow Moon, Emily Browning as both Laura Moon and Essie MacGowan, Crispin Glover as Mr. World, Bruce Langley as Technical Boy, Yetide Badaki as the Old Goddess of Love known as Bilquis/Queen of Sheba, Pablo Schreiber as Mad Sweeney, and Ian McShane as the Old God Odin known as Mr. Wednesday. American Gods season two doesn't have a release date as of yet.